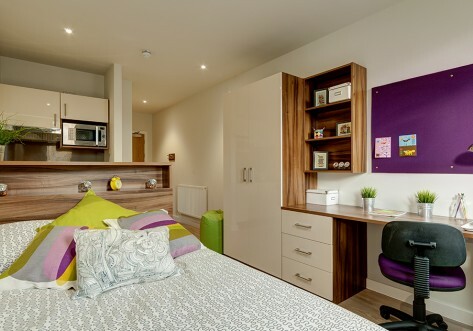 The Hive provides some of the highest standards of student living anywhere in London. 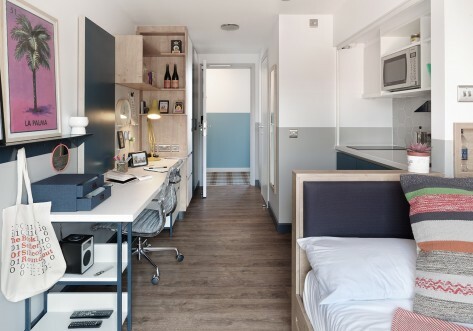 Located in Bethnal Green, The Hive is just a short distance from Queen Mary’s College, City University, London School of Economics and The University of Westminster. With the Bethnal Green Underground Station just a few hundred yards away, the other major higher education facilities are all within easy reach. These outstanding transport links also allow you to explore everything that this vast city has to offer, with very easy access to the heart of London via the Central Line. Or, should you wish to get around by bicycle, there is secure bike storage available on a first come first served basis. 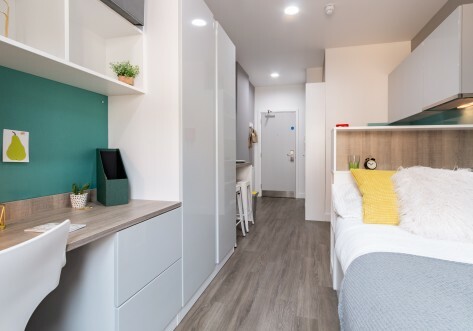 The luxury studio apartments include small double sized beds, en-suite shower room, flat screen TV, fridge-freezer, and study desk with ergonomic chair. 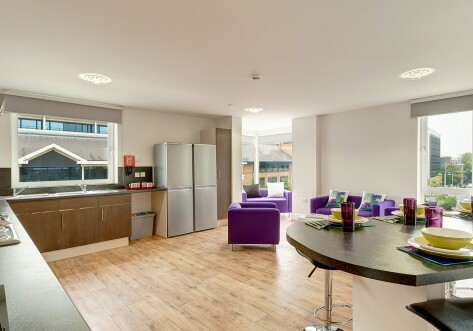 There is also an incredible common room, which offers views of the stunning London cityscape. The common room and reception have recently been revamped with a fresh new look. They have been fully repainted and have new couches, seating area additions, new furniture and art prints. That's not all! A football table and pool table bring competitive fun at its best! London is the biggest city in the UK and one of the biggest in the world with a metropolitan area of over 13 million people. It is a leading global city with a variety of cultures and about 230 languages spoken.